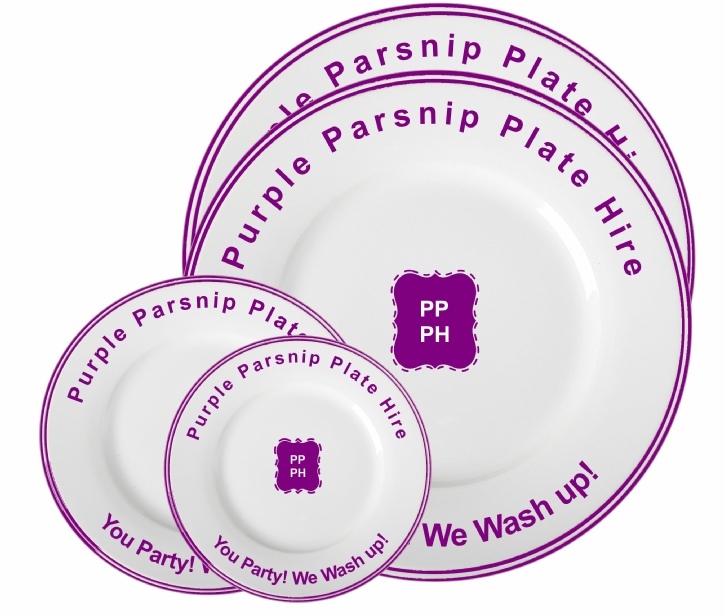 Purple Parsnip Plate Hire specialises in crockery, cutlery and glass hire, delivered clean and taken away dirty. We supply Sapphire plain white round crockery, New English and Dubarry stainless steel cutlery, and Princessa glassware. April to October are our busiest times, so if you are thinking of holding an event, it is advisable to reserve equipment well in advance.